What is your “Yoga Story”? 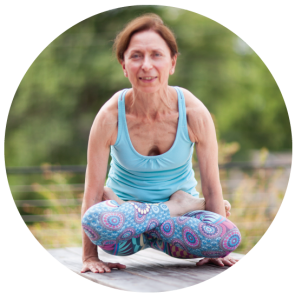 Lori: My yoga story is different from Thom’s… I began “doing” yoga about 25 years ago with Cindy Dollar at a studio where I taught step aerobics and body sculpt called Sport Dance. I decided to give it a try because I felt so tight and inflexible from weight training… the moment I tried it, I was hooked for good! I have to admit that at first it was a physical thing, and I was a bit competitive with it, but as some years passed, I came to realize that it benefited me way beyond the physical… it vastly opened up my heart and soul! In 1997, a friend introduced me to Asheville Yoga Center. I became a student of Stephanie’s. 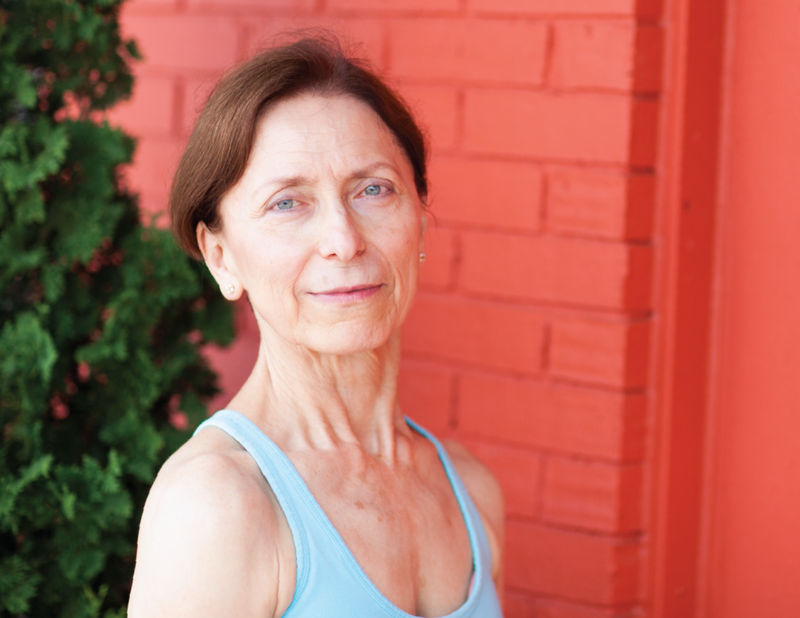 Her class was energizing and challenging, but not quite like her current Ashtanga Mix. Stephanie was a rubber band back then, too. Shala was a student in Stephanie’s class, so we are talking way back! 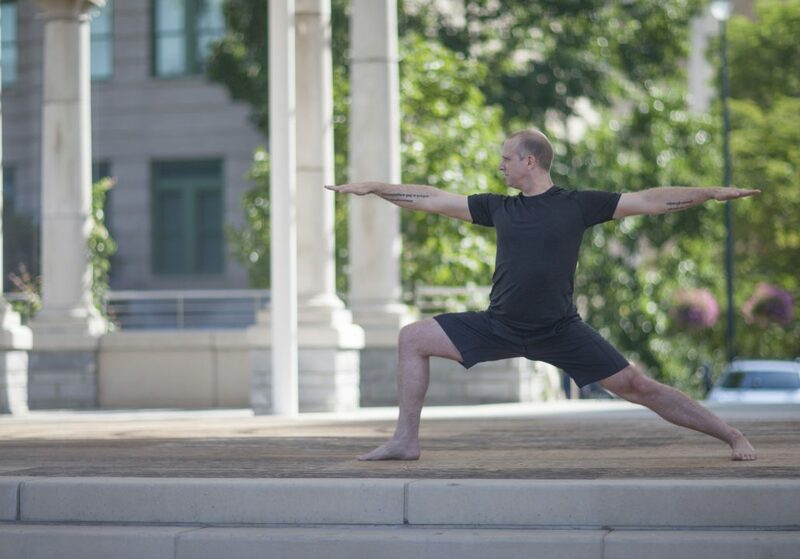 Thom would join me for classes at AYC, but his knees began to pain him around 2005 and yoga was just not possible. It wasn’t until 2014, when he had a double knee replacement, that he was able to become my yoga companion again, and lately we have been fortunate enough to be able to attend every class together. After a yoga practice we feel a sense of peace and connectivity. Our hearts open along with our bodies, and our minds become serene. We feel in harmony. Yoga has helped us to navigate through this mysterious vast ocean of life. So far we’ve been able to weather the huge, crashing waves of the storms and then settle back in to the calm aiming for appreciation, gratitude, and contentment. For this, and so many other benefits, we are thankful that yoga is a path we have chosen. Lori: If I had to choose a favorite yoga pose, it would have to be WILD THING! Back bends are difficult for me and so Camatkarasana enables me to be filled with a sense of freedom and release! Another favorite is HORSE POSE or Vatayanasana. This pose really aligns my back! Thom: I don’t have a favorite pose but I like the progress I am making with Pigeon pose because it has increased my flexibility in my knees and hips. Lori: Full Wheel (Urdvah Dhanurasana) has been my nemesis since I began my yoga journey. Stephanie once figured out why for me, and since then I have accepted that my physical body has limits! This was when I decided to just BE on my mat and to accept what I was given. Thom: My most challenging poses are any standing balance poses because of my knee surgery. Thom: Grateful, Caring, and Centered…and Lori agrees on that! What is your favorite/ most inspiring quote? Lori: Buddha’s Brain is one of my favorite books that was recommended by Michael Johnson during his ten month Classics of Yoga course. I had a lot of aha moments while reading this book in discovering that I can actually sculpt my brain to benefit my life by rewiring my neurons. I am a true testament that this works! I am presently reading “Autobiography of a Yogi”, it’s taking me a long time to get through, but it appears to be well worth it! Thom: Another recommended book by Michael that I thoroughly enjoyed is Abundance because it is an optimistic view of mankind”s future. I have suggested it to many people to read. 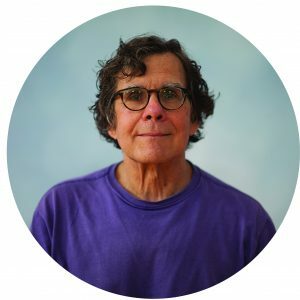 Lori: It would be difficult for me to pinpoint a favorite song out of the gazillion that are out there but I am especially drawn to Kirtan… it’s so nourishing and grounding to me! Thom and I sing quite a bit of Kirtan together. I have a harmonium in our meditation room and Thom and I sing together sometimes. There is so much that inspires us… but what immediately enters our minds are what people and animals endure in life. We admire those that face their adversities and move onward. 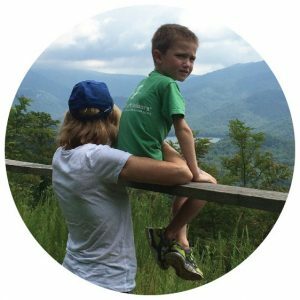 Our youngest son has been through a tremendous amount in his short life and we admire him with his ability to face difficulties and challenges while maintaining his humor. I doubt if I will ever be finished with the story, or, I hope not. Yoga is the one activity that touches all senses, when open to it, both mind and body. I am grateful for how the practice has helped me to grow in being compassionate to the journey I am on. To learn about myself and for the physical and mental challenges of the practice. Chaturanga is the most challenging pose for me….at this time. I have ben practicing yoga for six years. I ran across a book on yoga in my early 20s, bought it and pretty much set it aside. Higher education and career were at the forefront of my mind and purpose. Jump several decades into the future when career becomes secondary, and it’s time for me to focus on me. Yoga is back in my radar as more than the casual interest and occasional class over time. My practice evolved and I began to teach, and study for YA certification. It was a really good period of teaching and learning… and then we moved. We came to Asheville 7 years ago, and one of the first things I did was to identify all the studios within what I considered to be an acceptable driving distance. There were lots to try and choose from… I made a geographic list, with the farthest away on top and closest on the bottom, and began my journey. Just past the midway point, I came for a class at Asheville Yoga. I liked the energy at the studio, the class and the overall ambiance… and then I met Stephanie and took her class. 7 years later I’m still here! It is a learning and stabilizing process. It helps me stay connected with myself and my path in this life. Even when I’m physically exhausted and mentally tired, I can stay centered and be present. I find the practice, not just the asana, completely gratifying. Triangle, in so many of its’ variations, is both inspiring and daunting. 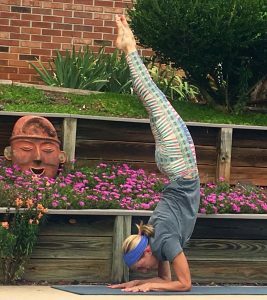 Arm balances of any sort because my body is carrying a lot of life experiences that make them difficult. I have to be truly mindful with my efforts and ensure that I take care of myself. I have been practicing steadily for about 13 years. Favorite book: Wherever You Go, There You Are by Jon Kabat-Zinn; I think that says it all. I just finished The Lowland by Jhumpa Lahiri . . . an amazing read. So many to choose from . . . Ong Na Mo is probably my favorite. Soundtracks from the 2 Anugama “Sahmanic Dreams” cds are right up there as well. I don’t have a favorite movie. I did enjoy the last one that I saw – The Force Awakens – always an underlying positive (optimistic) outlook. Waking up and sunrise . . . and the opportunity for endless possibilities that the forthcoming day brings. Yoga marks an endpoint of a long search and a new beginning in my life. For far too many years, I was seeking an elusive something that would fill that nagging emptiness inside. Yoga has provided a spiritual contentment and a physical nourishing that really sustains me. This transformative power of yoga is nothing short of miraculous. I am stronger and more supple. In executing asanas, I have come to not only appreciate my strengths, but accept my limits, feeling a greater sense of peace and shedding self-consciousness. I guess this is what is meant by moving towards authenticity. Becoming comfortable with who I am and finding a true sense of belonging in this yoga community is so wonderful! I must admit that my favorite pose is savasana because this is when the cumulative effect of the practice blossoms into a radiant blissfulness. Side Crow is one that I am really hoping to learn some day. I have been practicing yoga for over ten years. 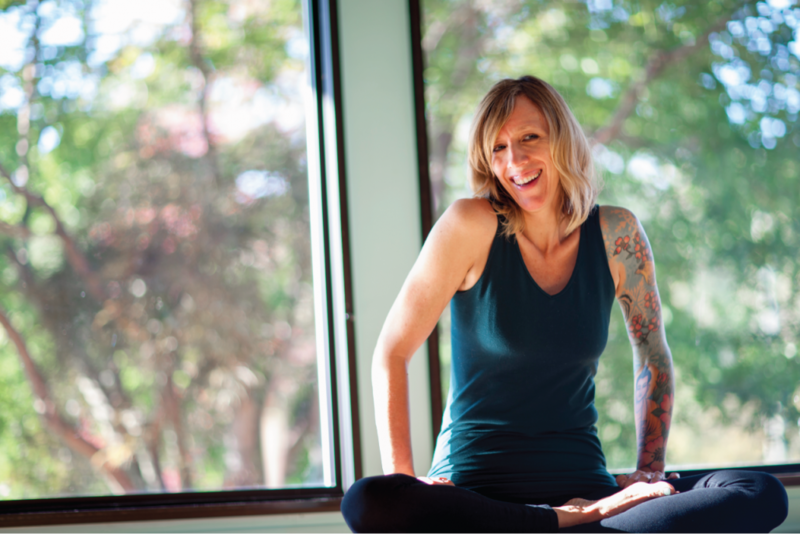 During a period when I had been fighting personal demons, a good friend, waxed eloquently about the curative power of yoga and told me about a wonderful teacher at AYC, Julia Taylor. I was very hesitant about making a commitment, but just then she walked into the UNCA library where we were talking! This moment of synchronicity was too powerful to ignore, so I gave yoga a try. I fell in love with the practice from the beginning and was a worker member to boot for several years! Just three? Cynical bohemian transforming. Or perhaps, work-in-progress. What is your favorite/most inspiring quote? What are you reading now or your favorite book? Jack Kerouac has been on my reading menu for fifty years. His poetic prose still blows me away (and led me astray.) More recently, I stumbled across the Neapolitan novels of Elena Ferrante…four volumes I absolutely could not put down about two strong, independent women and the fascinating tale of them growing up and older in Naples, Italy. I never seem to tire of listening to Bat for Lashes, especially “Daniel.” “Resignation Superman” by Big Head Todd and the Monsters gets me dancing. “Sometime Around Midnight” by The Airborne Toxic Event is great. “Set Fire to the Rain,” by Adele, wow, what a voice! Gotta also mention “Waiting Game” by Banks, “L.E.S. Artistes” by Santigold, “Monster” by Meg Myers and “Levi Stubbs’ Tears by Billy Bragg. As a recent arrival to the digital age, I have discovered so many great songs! What is the last movie watched or favorite movie? The natural world is the source of much of my passion and wonder. I live on four acres of forested land that puts many parks to shame. My wife has encouraged native plants and created a botanical paradise. I am constantly filled with awe by the morning symphony of bird song. Springtime out here is beautiful beyond words. The Earth Mother is strong, resilient and powerful, but I often fear for Her health by the onslaught of human kind.